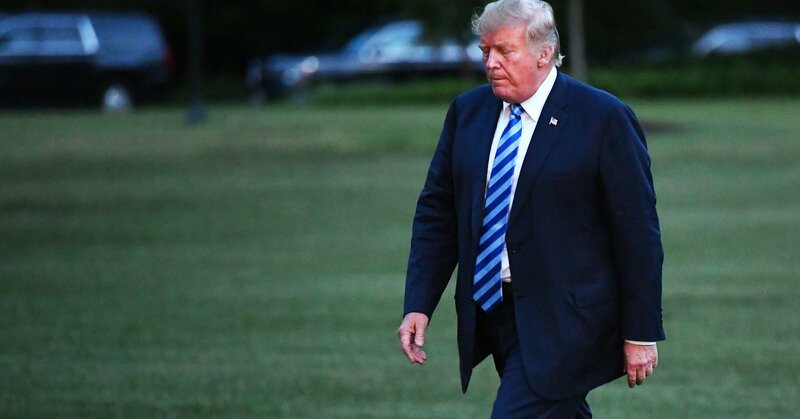 President Donald Trump defends himself against charges of racism by saying that not only is he not racist, but he has presided over some of the best job gains for African-Americans in U.S. history. The African-American unemployment rate has been roughly double the white unemployment rate for decades thanks to the country’s long history of racist policies that have excluded black people from jobs, housing and safety net benefits. 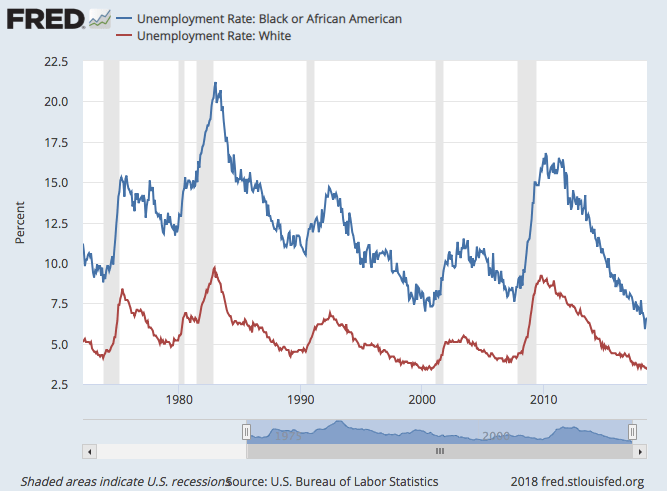 The black-white unemployment ratio does tend to shrink a bit when the economy is doing well, said Janelle Jones, an analyst with the liberal Economic Policy Institute. In addition to the unemployment gap, economists have noted stark differences in wages for black and white workers that can’t be attributed to occupational or educational differences. On Tuesday, in response to a question about whether there might be an audio recording of Trump saying the N-word, White House press secretary Sarah Huckabee Sanders said she couldn’t guarantee that the American people would never hear such a tape. But she said Trump’s economic policies had been broadly beneficial. “This is a president who is fighting for all Americans, who is putting policies in place that help all Americans, particularly African-Americans,” she said, before bungling her own spin about the number of jobs gained by black people during Trump’s presidency.